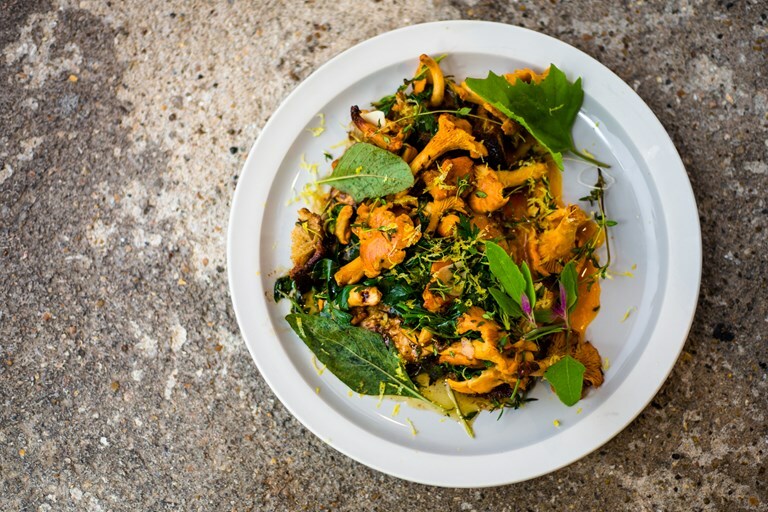 Dan Wilson serves up a beautiful girolles recipe for brunch, full of flavour and packed with great quality ingredients. An egg is sat on the base of the plate and covered in the mushrooms and fried breadcrumbs, all infused with butter, thyme, parsley, garlic and lemon, just waiting for the yolk to be burst as you plunge in a knife and fork. This is the first dish I put on a menu way back when in Brisbane, when I was working with my now business partner Andrew Leitch at Cup Speciality Coffee roasters. It’s a real banger and the only dish that's convinced my sister that mushrooms are the dopest trick. Remember, you want to maintain the texture and firmness of the 'shrooms. Don’t move them too much in the pan, don’t push them around like onions. Let them sit and only move them with intention. Dan Wilson is a chef and restaurateur originally from Australia.